It was a rather typical execution of a rare crime: A women dressed as a nurse enters a mother's hospital room and abducts the mother's newborn. To prevent these crimes, hospitals need to know the profile of the perpetrator. It was a rather typical execution of a rare crime. 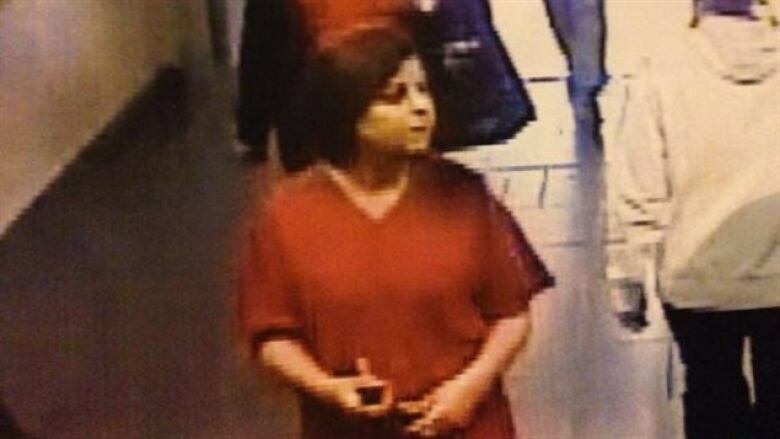 A woman dressed as a nurse enters a mother's hospital room and abducts the mother's newborn. 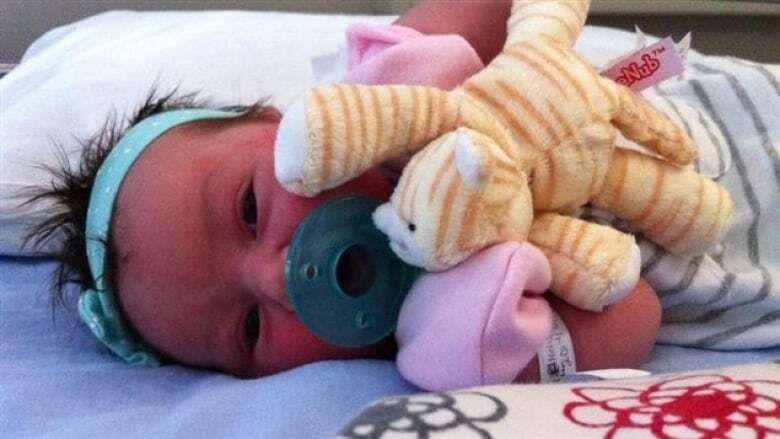 That happened to baby Victoria Monday evening at the Centre hospitalier régional de Trois-Rivières in Quebec. Also, as usually happens, the abduction didn't last long - the child was found and returned to its mother about three hours after the abduction, and a woman was arrested. 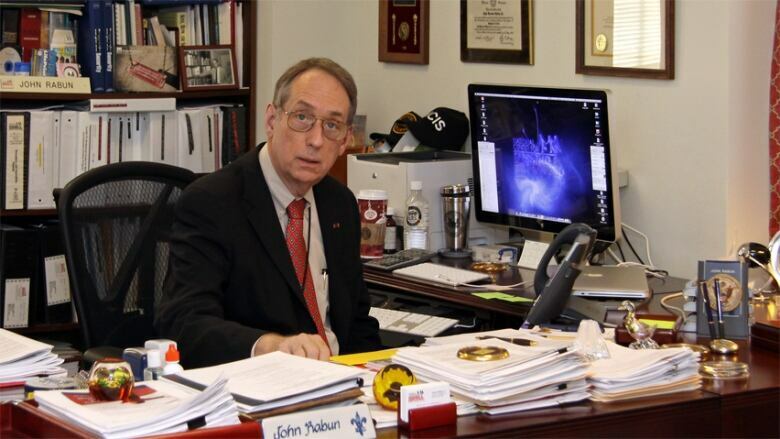 "Case perfect," says John Rabun, director of the Infant Abduction Response program at the U.S. National Center for Missing and Exploited Children (NCMEC). He especially took note of the report that the alleged abductor's vehicle has a baby-on-board bumper sticker. Police quickly returned baby Victoria to the hospital after she was located by four young adults who saw the amber alert on Facebook Monday night. (Radio-Canada)​Overall, the odds of a newborn getting abducted from a birthing facility are about one in a million in the United States. ​Pina Arcamone of the Missing Children's Network in Quebec confirmed to CBC News that these abductions very rarely happen in Canada. Statistics on infant abductions indicate that almost half take place at hospitals, and more than half of those are perpetrated in the mother's room. Although F.B.I. records on infant abductions from hospitals date back to the 1950s, the crime didn't really become an issue until the 1980s in the U.S. and the 1990s in Canada. Since then, hospitals have been taking steps to prevent baby snatching. Critical to that effort, Rabun says, has been the development of a profile of the infant abductor. A woman of childbearing age, often married or co-habitating. "Most often relies on manipulation, lying and deception." Often overweight, or looks like she might be pregnant. "Frequently uses a fire exit stairwell for her escape." "Demonstrates capability to provide "good" care to the baby once the abduction occurs." Rabun, who played a leading role in developing the profile, says the profile fits in about 98 per cent of the abductions studied. He added that the presence of a husband or boyfriend in the scenario is critical for the profile. "He is the reason we're having the abduction." Rabun gave CBC News a typical scenario about the motivation for abducting an infant. "It's incredible the assessment skill this lady has," Rabun explains. "She assesses her male, and here comes the button to push, and it's going to be, 'I was at my O.B. today and, guess what, I'm pregnant with your baby.'" Rabun says the ruse usually works, based on interviews with these men. "They pull back the divorce papers. She's right on." "This woman is a conner, a manipulator, a liar - if she's ever committed any crime at all, it would be crimes of stealth," he says, but adds that most haven't committed any crimes before. This profile makes the potential perpetrator difficult to spot. "We're never going to know where she is until she tries to do something," Rabun explains. But knowing the profile means "we can harden the target." John Rabun, a leading expert on infant abductions, says the most important thing for hospitals to do is educating their nurses about the abductor profile and preventive measures. 'In turn, nurses can educate mom.' (NCMEC)He says that means hospitals need to lock the nurseries, have delays on the stairwell exit doors, and have at least one obvious closed circuit camera, preferably to get a picture of people entering. "I want that camera to basically be saying to that woman, 'Hey! You could do this but guess what, we're going to have you on camera," Rabun explains. ​Rabun, who authored For Healthcare Professionals: Guidelines on Prevention of and Response to Infant Abductions, ​ also advocates the electronic tagging of infants, usually done with an ankle bracelet, but concedes this system "is never going to be perfect." He says it's important to remember the perpetrator is not a security expert and may not pick up on the security technology in place, so bracelets may not be a deterrent. The typical abductor will likely check out several hospitals and the choice of a target will be the hospital "she is most familiar with, most comfortable with, not [based on] the security." Rabun, who has been consulted about security by more than 1,000 hospitals, recommends to new hospitals that they take the wiring and other infrastructure necessary for security into account in the design stage. "Be sure you have all the conduits for cable, for cameras, for electronic tagging, for time-delay egress on stairwell doors, for stops on elevators should the tag come into the field so the elevator doesn't stop on that floor, or the doors stay open and won't move until the tag is out of the field." After the Trois-Rivières abduction, Quebec Health Minister Dr. Gaetan Barrette said his government will study implementing electronic tagging at hospitals. He also asked all hospitals in the province to review their security procedures. Dr. Harley Eisman, who directs pediatric emergency at Montreal Children's Hospital, says they will have electronic tagging next year at their new location. Ultimately, "the nurse and the mother are the two who've got to protect the baby," Rabun says, because they are the ones closest to an infant in hospital. The most important thing for hospitals to do to prevent infant abductions, "would be to educate your professional staff, nurses primarily, and in turn nurses can educate mom," according to Rabun. While the nurses need to know the abductor profile, they also need to play a lead role in telling mothers what to do and not to do. At the Centre Hospitalier Universitaire de Québec in Quebec City, for example, director Denis Bouchard told Radio-Canada that at their pediatric centres they instruct patients that, "if ever an employee does not carry their card, to ask to see that person's card." Investigate security procedures at the facility where you plan to give birth to make sure they're acceptable. Never leave your infant out of your direct, line-of-sight even when you go to the restroom or take a nap. When you do, get someone you trust to watch your baby. Place the infant's bassinet on the side of the bed away from the door. Do not release your infant to any unauthorized person and ensure no one else does. Get to know the maternity unit staff. Question unfamiliar people entering your room or inquiring about your infant - even if they are in the facility's attire or seem to have a reason for being there. Determine where your infant will be when taken for tests, and how long the tests will take. Find out who has authorized the tests. If uncertain, go with your infant or have a family member go along. Take photographs of your newborn in case they're needed for quick ID purposes. Use caution when posting to social media or creating web content about your infant. For example, don't use the public setting on Facebook.